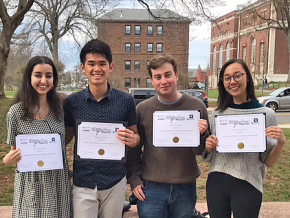 On May 4, the Department of Physical Education and Athletics hosted its fifth annual scholar-athlete dinner and awards program. 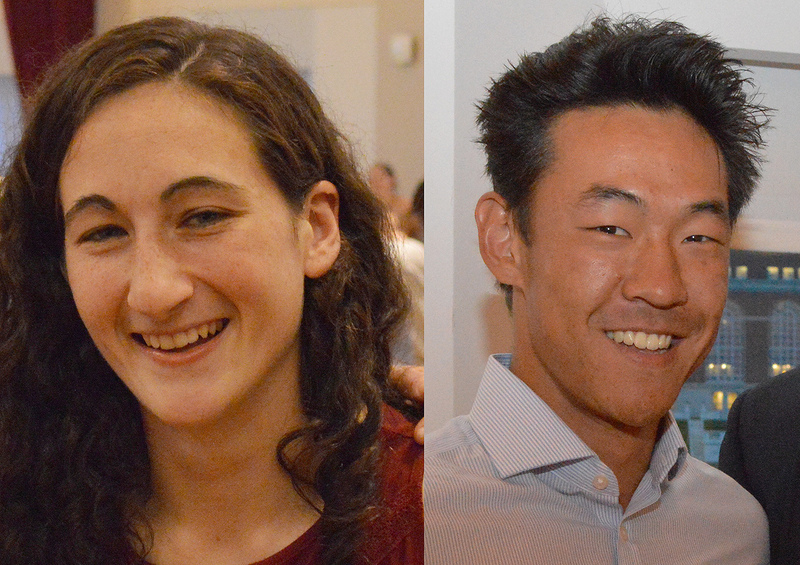 Rachel Aronow ’17 and Michael Liu ’17 were honored with the Roger Maynard Memorial Award. The 170 student-athletes in attendance distinguished themselves through both their outstanding work in the classroom and their accomplishment in athletic competition. During the event, Mike Whalen ’83, director of athletics, served as master of ceremonies and presented the Maynard Awards; Wesleyan President Michael Roth ’78 provided comments from the administration; Dan Lynch ’80, P’11, P’14 presented the Athletic Advisory Council Award; Rob Harbison ’17 and Molly Schassberger ’17 spoke on behalf of the scholar-athletes; and alumnus John Driscoll ’62 led the Wesleyan Fight Song. Rachel Aronow ’17 (women’s ice hockey and women’s lacrosse) and Michael Liu ’17 (men’s tennis) were honored with the Roger Maynard Memorial Award, which is presented annually to the Wesleyan male and female senior scholar-athlete who best exemplifies the spirit, accomplishments and humility of Roger Maynard ’37, a former Wesleyan trustee who lettered in cross country and track. He died March 30, 1968. The mission of the Athletics Advantage (A+) Program is to grow, connect and develop a diverse network of alumni leaders online and through campus programs and events that will inspire, connect and prepare student-athletes for post-Wes life. 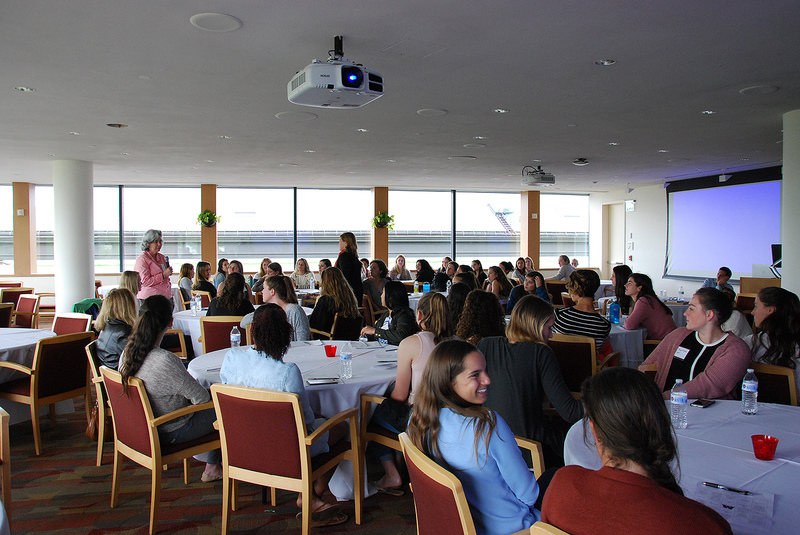 On May 7, 20 alumnae returned to campus to participate in a speed networking event for women student-athletes in various stages of their post-Wes journey. 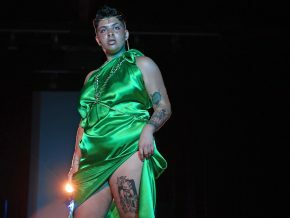 They included: Blair Ingraham ’14; Alicia White ’15; Glenn Hartman-Mattson ’14; Andrea Balkan ’86; Vanessa Block ’15; Michele Drossner ’14; Erin Reding Glaser ’06; Fran Rivkin ’78; Lottie Barton ’16; Corinne Rivard ’16; Lisa Brummel ’77; Nicole Butterfield; ’90; Marisa Graziano P’19; Cindy Nye ’87; Meg Dunham Dempsey ’85, P’19; and Rebecca Hall ’04. 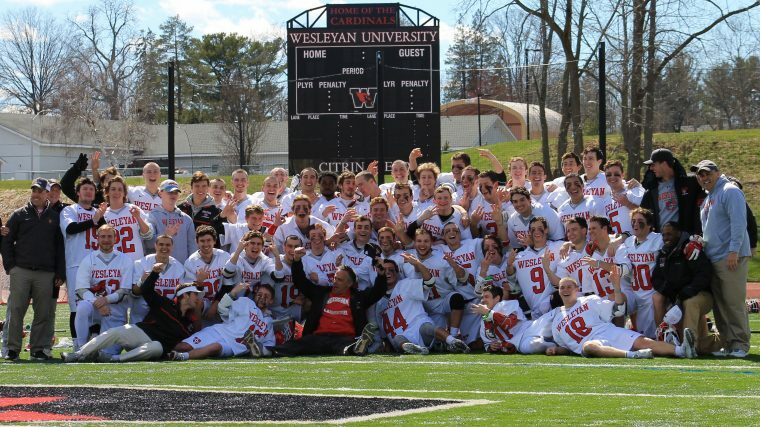 On April 8, Wesleyan’s men’s and women’s lacrosse teams defeated arch rival Williams College to win the Little Three Championships outright. 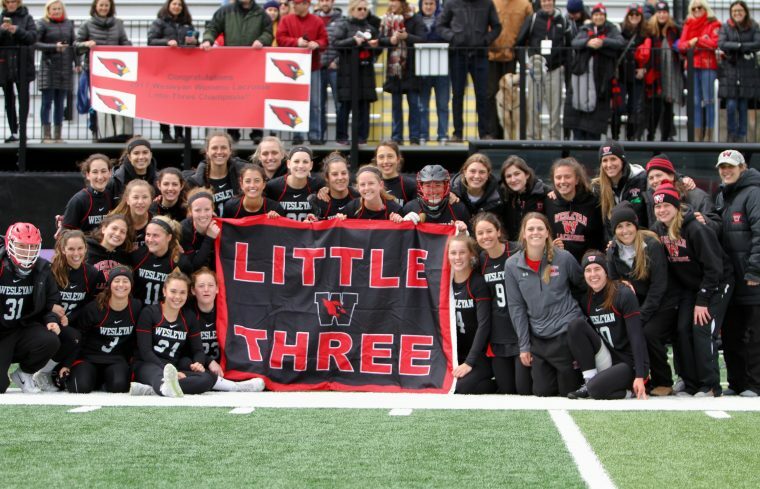 It marked the first time in the history of Wesleyan athletics that both lacrosse programs won the title in the same season, and it was the fifth Little Three crown by a Cardinals team this season, joining football, men’s basketball and men’s ice hockey. The “Little Three” schools — Wesleyan, Amherst and Williams — first formally banded together in 1899 as the Triangular League. The League broke up briefly but reestablished competition in 1910, and has competed annually since then as the Little Three. Last week, the women’s team defeated Amherst College on Wednesday at Smith Field, 9-4, and followed up with an 11-6 win on the road against the Ephs Saturday to win the Little Three Championship outright for the first time since the 1982 season. It also marked Wesleyan’s fourth title since the three-team rivalry began in women’s lacrosse in 1978. On the men’s side, the Cardinals defeated then-No. 11 Amherst on the road Wednesday, 17-13, and followed up with a 13-7 home win against the Ephs Saturday. The men’s lacrosse program has now won 11 Little Three titles in the history of the rivalry, which dates back to 1961. It’s also Wesleyan’s first since 2013 and third in the last six seasons. 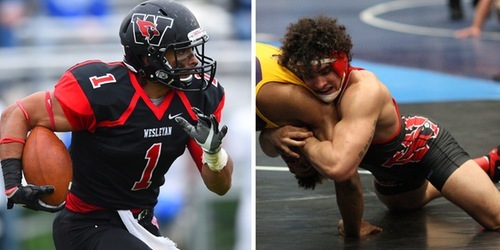 Wesleyan currently has five Little Three titles this year, matching the most since 1992-93. The most-ever won by the Cardinals was six back in 1986-87. 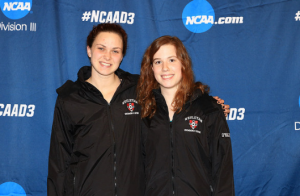 Hannah O’Halloran ’20 and Caroline Murphy ’20 of the women’s swimming and diving team competed in the NCAA Division III National Championships, which were held March 15-18 at the Conroe ISD Natatorium in Shenandoah, Texas. O’Halloran competed in the 200-yard backstroke event, where she was seeded eighth with a time of 2:01.62. In the preliminaries, she touched the wall in a time of 2:02.06, and went onto swim a 2:03.52 in the finals, which placed her 16th overall. Murphy, who was seeded fourth in the 100-yard backstroke with a mark of 55.64, finished 11th in the preliminaries with a mark of 55.92. In the consolation finals, she touched the wall in 55.90 to place 13th overall. Murphy also won the NESCAC Championship in the 50-yard backstroke, prior to the national championship meet, to become the first Wesleyan women’s swimmer or diver to ever win a conference title. In addition, both student-athletes were named Honorable Mention All-Americans. 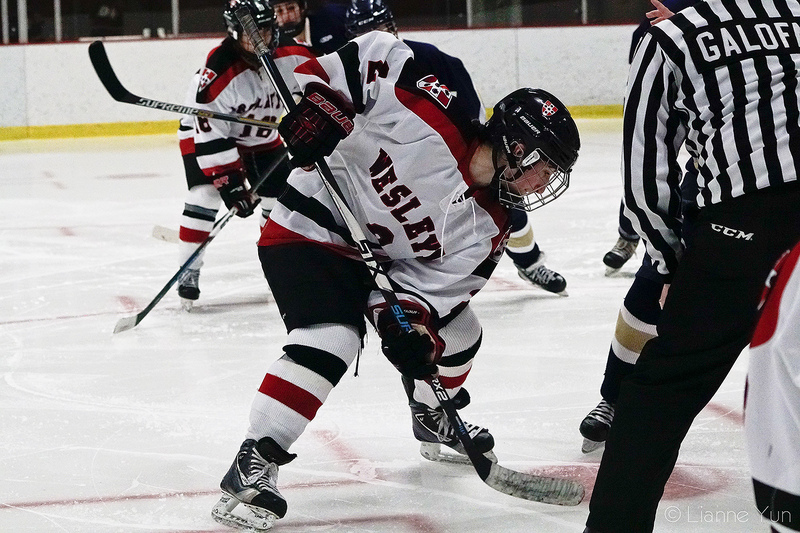 Rachel Aronow ’17 is one of 10 student-athletes on the women’s ice hockey team who received NESCAC All-Academic honors. Ninety-four Wesleyan student-athletes were honored for their excellence in the classroom when the NESCAC announced its 2016-17 Winter All-Academic Team on March 9, while eight others were named to the All-Sportsmanship Team. To be honored on the All-Academic Team, a student-athlete must have reached sophomore academic standing and be a varsity letter winner with a cumulative grade point average of at least 3.40. 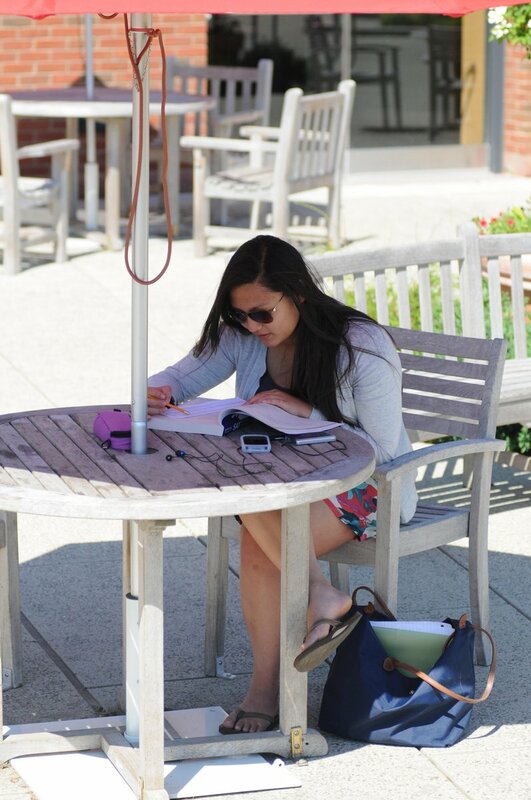 A transfer student must have completed one year of study at the institution. The women’s indoor track & field team led the way for the Cardinals with 19 selections, followed by men’s ice hockey with 16, women’s swimming & diving with 11, women’s ice hockey with 10, men’s indoor track & field with nine, and men’s swimming & diving with eight. 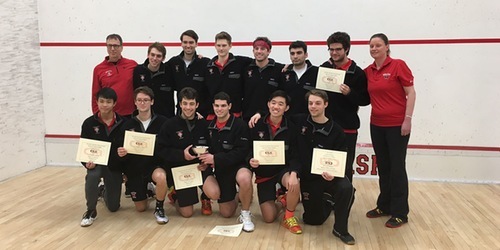 After a 25 year wait, the Wesleyan men’s squash team has once again won the Conroy Cup at the College Squash Association (CSA) National Team Championships. The Conroy Cup features teams ranked between 25th and 32nd in the men’s National Team Championships. 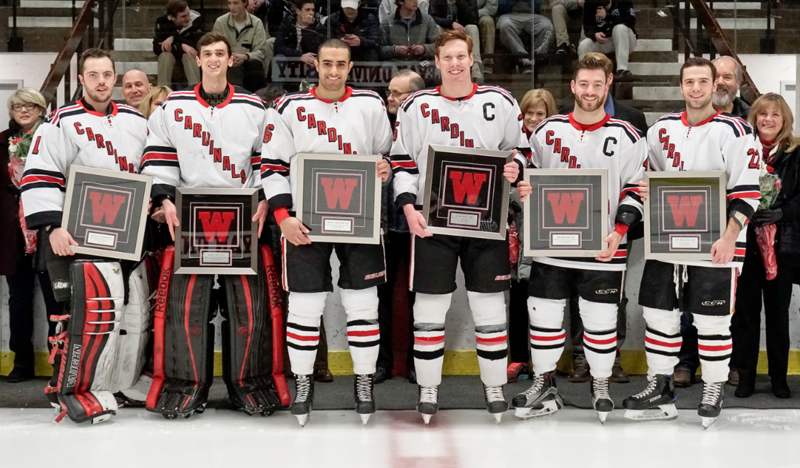 Wesleyan’s 26th rated team edged out 25th rated Hobart College in a 5-4 to win to take the cup Feb. 19 at Harvard University. This adds a third Conroy Cup to their trophy case. The win featured excellent showings by the Cardinals. 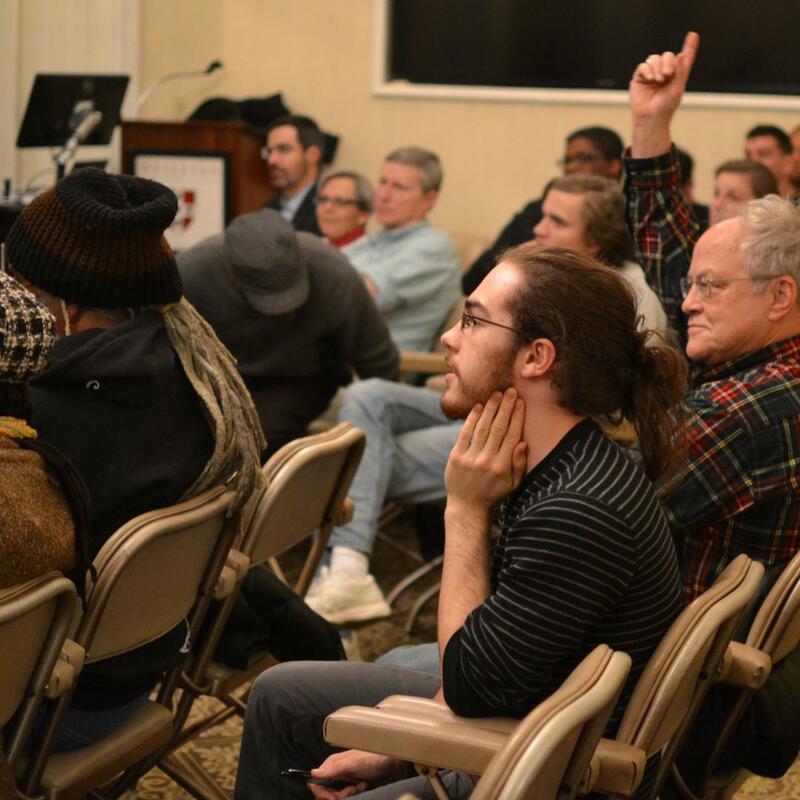 David Sneed ’17 and Zach Roach ’17 fought their way to No. 2 and No. 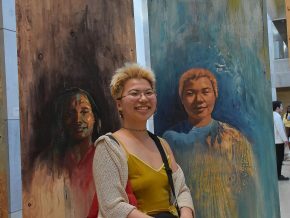 3, respectively. Sneed won all three of his sets to take the match while Roach made a brilliant recovery to claim a 3-2 win over Hobart’s Terrance Rose. 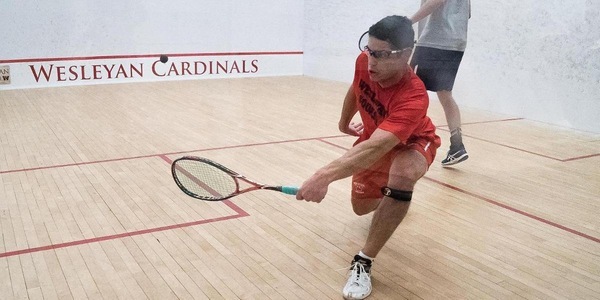 Now that their team season has concluded, the Cardinals look forward to hearing the CSA National Individual Championship announcement that will determine who will compete in the three-day tournament in March. 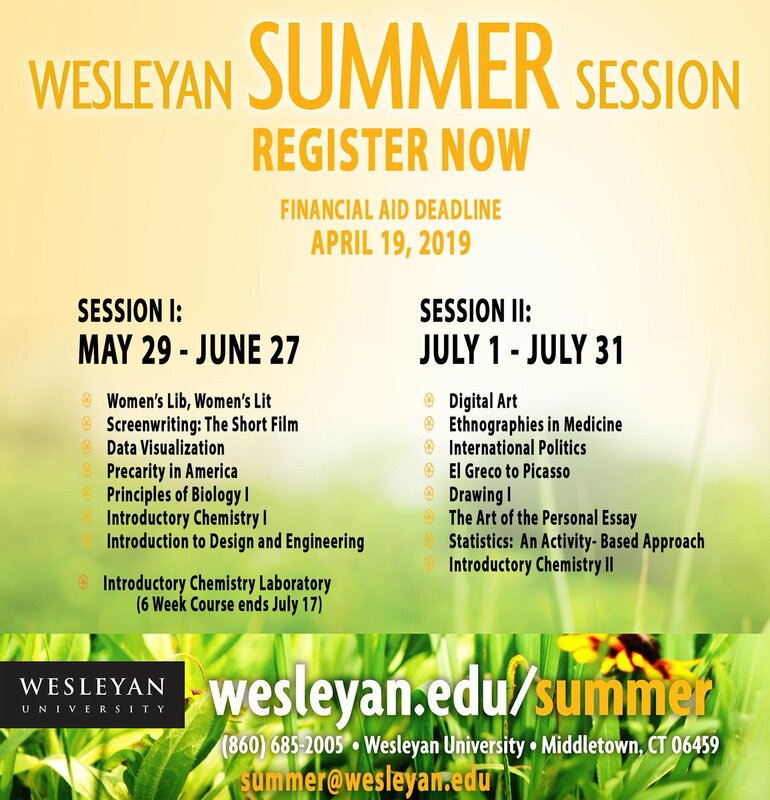 Read more on the Wesleyan Athletics website. 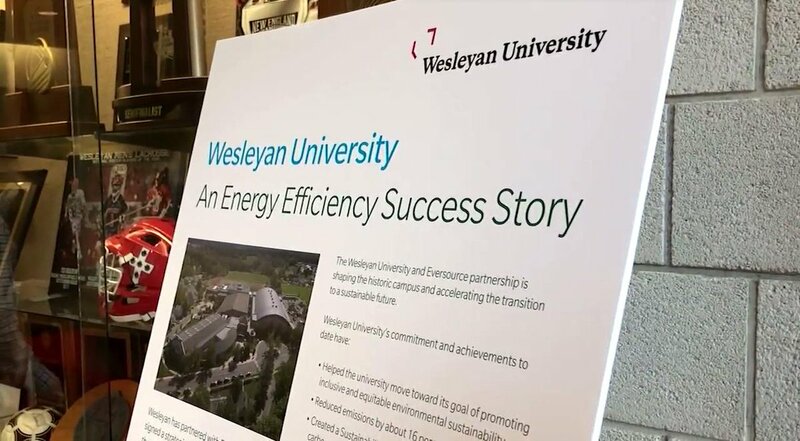 For the first time in the history of Wesleyan athletics, the football, men’s basketball and most recently, men’s ice hockey team, won the Little Three title in the same academic year. The “Little Three” schools — Wesleyan, Amherst and Williams — first formally banded together in 1899 as the Triangular League. Since 1910, the teams have annually competed in the Little Three intercollegiate athletic conference. 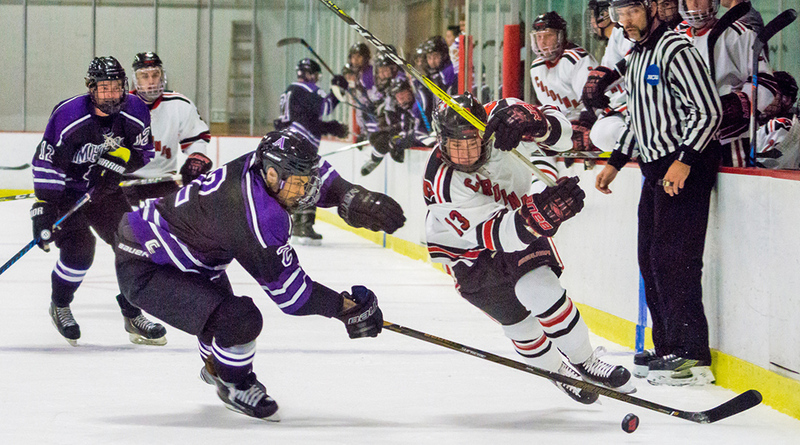 Although men’s hockey lost to Trinity 7-2 during its Feb. 17 game, Amherst defeated Williams 1-0 on the same day, giving the Cardinals their first outright Little Three title in 30 years. The Cardinals are led by head coach Chris Potter. Football won its Little Three title on Nov. 5, 2016 with a 59-14 win over Williams. 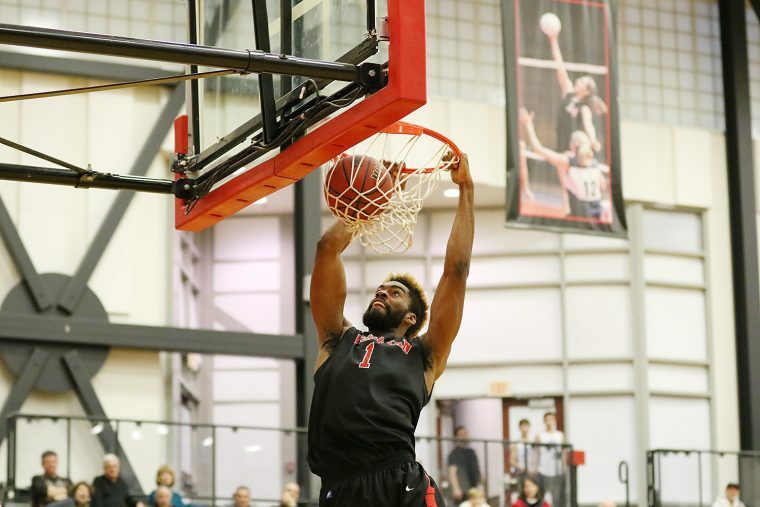 And the men’s basketball team won its Little Three title on Feb. 7 with a thrilling 73-72 overtime victory against Amherst. With spring sporting events right around the corner, now is the time to download Wesleyan Front Row, the Wesleyan Athletics new mobile app. 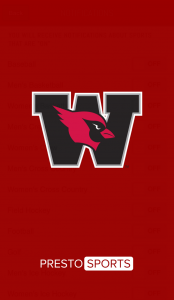 Launched in August and developed with PrestoSports, Wesleyan Front Row gives Cardinals fans the ability to enable notifications to access score updates, statistics, and game recaps. Fans can set sport preferences to see schedules, results, event recaps and photo galleries. For some events, a live stream of the game is available through the app, giving unprecedented access to off-campus fans, including parents and alumni, who still want to cheer on their favorite athletes from afar. The mobile app is available for download for iPhone and Android. Wesleyan’s men’s basketball won the Little Three Title with a thrilling 73-72 overtime victory on the road against No. 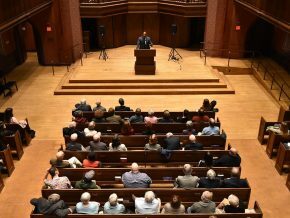 8 Amherst College on Feb. 7. Jordan Bonner ’19 knocked down a three-point buzzer-beater to send the game into overtime, and then hit the game-winning free throws to help guide the team to victory in non-conference action. With the win, the Cardinals snapped Amherst’s 32-game home winning streak and claimed the Little Three title outright. The Cardinals, who shared the Little Three title with Amherst a year ago, won it outright for the first time since the 1990-91 season and the 15th time overall. Wesleyan snapped Amherst’s 32-game home winning streak, and handed the Purple & White just its sixth home loss in the past seven seasons (100-6 record since 2010-11). Additionally, the Cardinals have now won four of the past five meetings against their arch rival, and defeated Amherst earlier in the season at home, 73-59 to sweep Amherst for the first time since the ’90-91 season. Tuesday’s win was Wesleyan’s third against a top-10 team this year. The “Little Three” schools – Wesleyan, Amherst and Williams, first formally banded together in 1899 as the Triangular League and since 1910, the teams (once referred to as “The Triumvirate”) have continued to play. The Little Three is believed to be America’s oldest, continuous intercollegiate athletic conference without a membership change. Bill Belichick ’75, head coach of the New England Patriots, led his team to the biggest comeback in Super Bowl history on Feb. 5, beating the Atlanta Falcons by a score of 34-28 in OT—the first time an overtime period was ever needed in the 51-year history of the NFL’s annual championship game. The win made Belichick the winningest coach in Super Bowl history. All five of Belichick’s wins have come as head coach of the Patriots, a team he has coached since 2000. Beginning his NFL career as an assistant coach with the Baltimore Colts in 1975, Belichick moved to the Detroit Lions in 1976, remaining there for two seasons before spending a year in the Denver Broncos organization before moving on the the New York Giants in 1979. In 1991 he was named the head coach of the Cleveland Browns, and also coached for the New York Jets before becoming head coach of the Patriots in 2000. He earned his 200th regular season victory as a head coach after the Patriots’ 30-7 win at Minnesota on Sept. 14, 2014. He became the sixth NFL head coach to reach that mark. 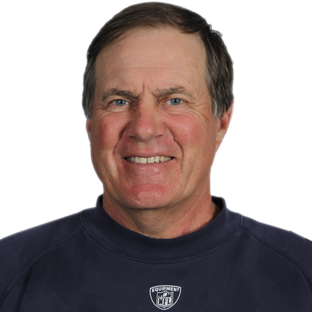 At Wesleyan, Belichick was a football, squash and lacrosse letterwinner, serving as a team captain for the 1975 lacrosse squad, He majored in economics. Returning to Middletown for Commencement in May, 2002,Belichick received Wesleyan’s Raymond E. Baldwin Medal, the highest honor awarded by the alumni body for extraordinary service to the University and to the public interest. He also spoke to a group of prospective students and their parents during WesFest in April, 2004 and stayed to watch his daughter Amanda ’07 play in a women’s lacrosse game. During Wesleyan’s 2005 Commencement, Belichick received an honorary doctorate from his alma mater and in May, 2008, he became one of the inaugural members of Wesleyan’s newly established Athletics Hall of Fame.